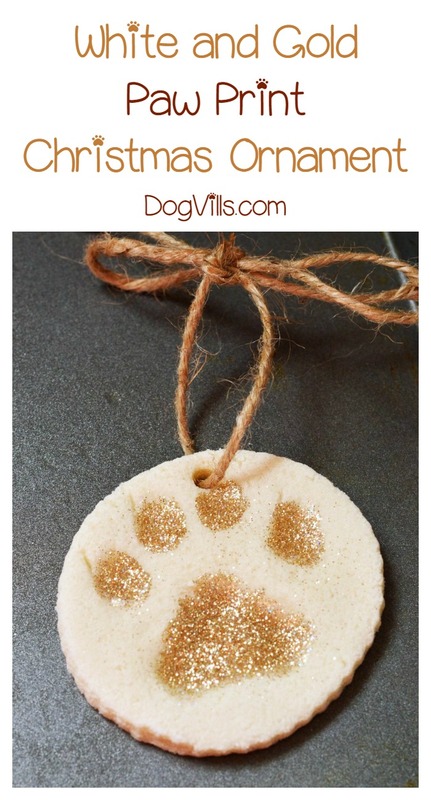 Have you ever made a paw print Christmas ornament? If not, you will after today! 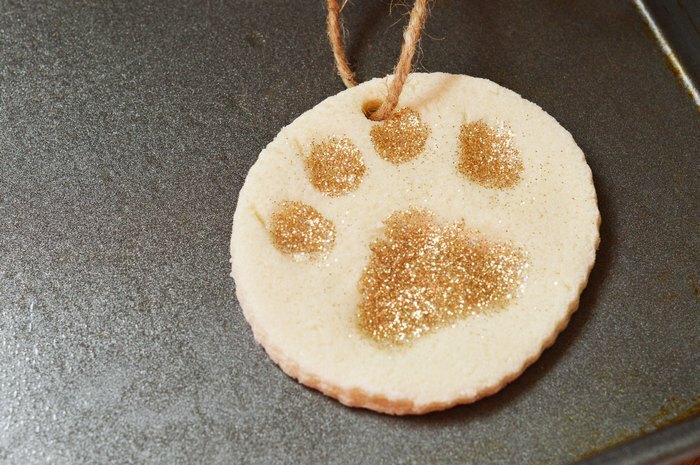 These ornaments are a cute and easy way to celebrate the holidays with your pet. I adore Christmas. I’m not sure I’ve stated that yet. When I say I adore it, I really feel like it’s heaven on earth during the holidays. I love getting my animals involved in the holidays as well. I take them caroling with us, to parades, I dress them up, and have them in family Christmas photos. They love every minute of it, crazy dogs. Anyways, this was our first Christmas with them so I wanted to do something commemorative in order to remember it. This is what came out of it! Check out the video to see how easy it is, then print the instruction card for later! 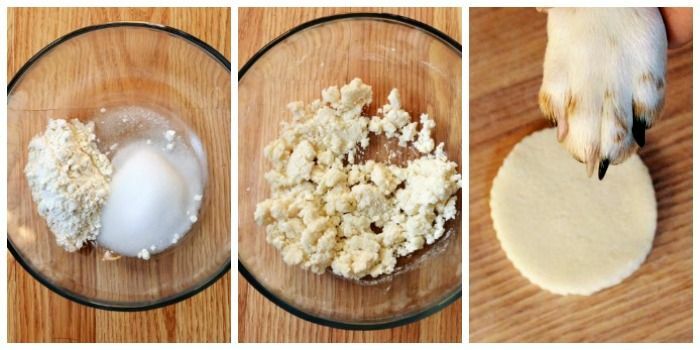 Form mixture into a ball and either flatten it out with your hands on wax paper or use a rolling pin. Be sure to put flour on the rolling pin so the dough doesn’t stick to it. Using the cookie cutter of your choice, cut out the number of ornaments you’re going to make. This mixture should be enough to make three. Make sure the cookie cutter makes a big enough shape for your dog’s paw to fit in it. Next, take your pet’s paw and firmly press it into the dough shape. Using a straw, make a hole at the top of each ornament. Place in the oven for about 2 hours on 200 degrees. 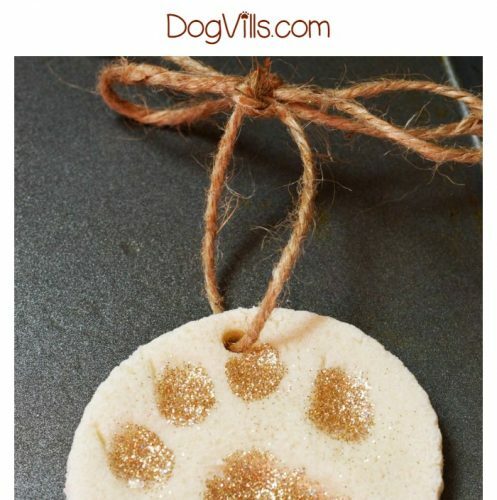 Allow to cool and then apply mod podge to just the indents of the paw prints. You can use your finger to do this or a small paint brush. Next, pour fine glitter over the mod podge. It’s ok if it doesn’t stay in the lines. Give it a few minutes to dry and then dump the excess glitter outside or in the sink. Tie your piece of string through the hole and hang it on the tree. Using the cookie cutter of your choice, cut out however many ornaments you’re going to make. This mixture should be enough to make three. 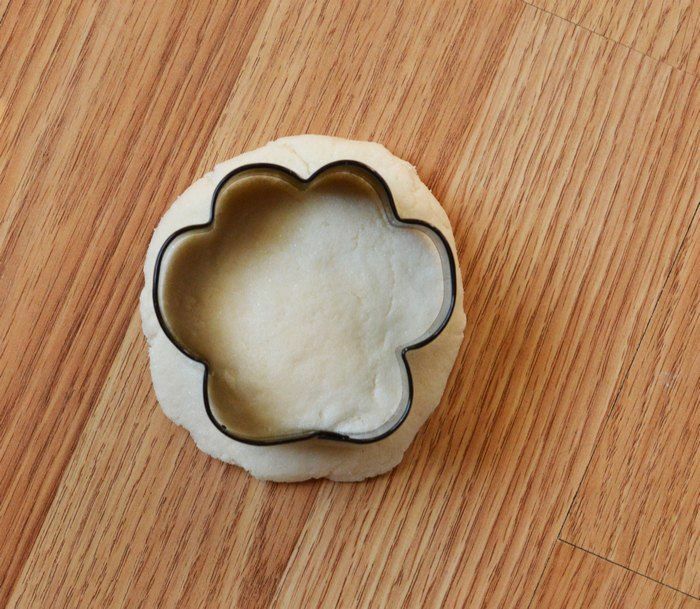 Make sure the cookie cutter makes a big enough shape for your dog’s paw to fit in it. Cute and easy, right? If you have a brand new puppy, this is a fun way to remember how itty bitty he was before he gets ginormous. 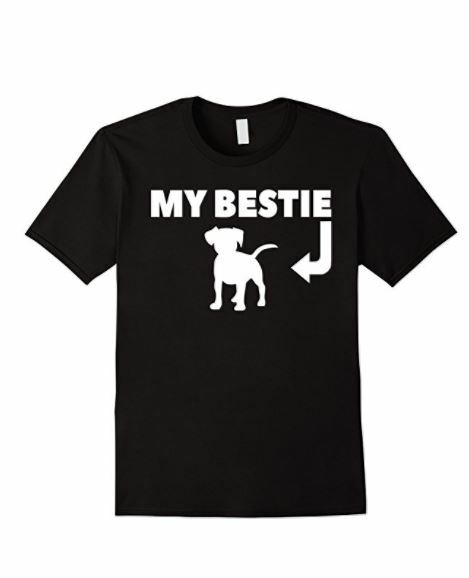 It’s also a beautiful way to remember your senior dog for years to come. Do you include your pets in the holidays in any special ways? Share in the comments!